THE two World Wars undoubtedly defined the first half of the 20th Century and 2014 saw a joint commemoration. That year marked the 100th anniversary of the start of the First World War and the 75th anniversary of the start of the Second. The First World War is our starting point. It was dubbed The Great War or the War to end all Wars. Of course the word great in this context means large and it could have been tagged The Great Folly as millions of men from all sides lost their lives on behalf of a complex cause that few, if any, of them could understand. The phrase War to end All Wars was also a misnomer. There will always be Wars around the Globe and a mere 21 years after the end of the First War the world would be pitched into another conflict equally as terrible and terrifying. Also the First World War failed to unite our country as so many had hoped. It was the precursor to civil unrest in the form of the General Strike of 1926 and the years of the Great Depression. Hethersett, like every other city, town and village in the country was affected by the conflicts of 1914 - 1918 and 1939 - 1945 both at home and in the Theatres of War themselves. It is hoped that this web site will underline the hardships suffered in a Norfolk village during and between the wars as well as capturing some of the lighter moments. This web site has also been set up to commemorate those from the village who served their country. It will look at the village from 1910 until 1950 - the period covering both conflicts. It will feature villagers who served their country and in particular those who lost their lives and who are today commemorated on the village war memorial in the grounds of St Remigius' Parish Church. It will also look at what it was like to live in the village during this 40 year period and how the village changed. It will focus on some of the day to day events that helped to keep some kind of order and normality. Much of the material used has been taken from the Hethersett Archive, which contains over 5,000 historical documents. A major source of information is the Village Church Magazine often known as "The Good News" and this has been used and quoted at length. The site also features letters and documents which have never before been published, but which are of significant historic interest and which have been re-produced with the full co-operation of their owners. One of the key figures in the Hethersett story is the Rev Frederic Jarvis, who was Rector from 1914 until 1934 when he left to become Vicar of Wymondham. Frederic Jarvis wrote regularly in the Parish News about the First World War both from his study in Hethersett Rectory and directly from the Western Front where he served as an army chaplain for a year - giving a first hand account of what it was like to be in France at that time. His letters back to the village were subject to censorship and this is something he refers to on a number of occasions, adding to our belief that the true horrors of what he saw were at times glossed over. Much of his writings were Christian by the nature of his position and the publication for which he was writing. We have kept religious content in where it is relevant to the war, but omitted it where it amounts to little more than sermonising. This site will be working with village archivist Gary Wyatt and many others to bring you the story of Hethersett at War. It will be added to throughout 2016 and the coming years so please return on a regular basis. Just click on the links above to start reading about Hethersett - A Village at War. 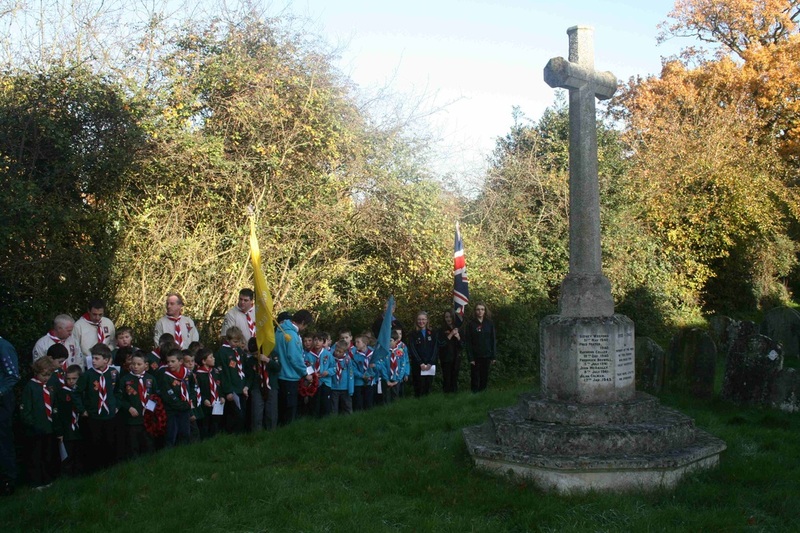 NOTE: The photograph at the top of the page shows youth and uniformed organisations gathered around the Village War Memorial on Remembrance Sunday which takes place every November. There is a special section on these services.